This is a personal blog. The opinions expressed here represent my own and not those of my employer, former employers or affiliated companies or institutions. Chinesecrash - I tend to disagree with the above and think it is simply PR to cover over the cracks. Fact is “China’s economy is heading for an imminent and disastrous crash due to its inflated housing market” just a matter of when rather than if…..
Adam Nathaniel Mayer - Thanks for your message, Chinesecrash. I checked out your website and I happen to think that you might be a bit paranoid about the threat of a property bubble in China. Let me first say that no one is trying to hide the fact that housing prices in many cities are way above the threshold of affordability for middle-class Chinese urban dwellers. There is no ‘PR’ conspiracy trying to cover this reality up. Even top leaders in the Chinese Central Government acknowledge this is a big problem and are enacting measures to curb real estate speculation. That being said, stopping the construction of new housing units in China at this point in time would only exacerbate the problem of housing affordability by limiting supply. Not to mention, it would put a lot of people out of work, something the Chinese government is very concerned about because of the threat of social instability. What I foresee happening (and is already happening to some extent) is a gradual shift away from housing development into other types of real estate such as commercial, retail and cultural buildings. We also see the Chinese economy at a macro level starting to evolve from one reliant on low-end manufacturing and infrastructure development to one focused more on high-end manufacturing, R&D and the service industry. While I take your point, I would tend to disagree and go as far to say the residential property bubble will burst in China in the next 9-12 months. Charlie - Great post Adam, this is something I’ve been thinking about for a while. Can China manage this rate of growth or is building beyond demand compounding the already numerous concerns about property and equity? Also sprach Analyst - I think there has been little doubt even among optimists that there are bubbles in some forms or another. The biggest threat right now, to me, is the fact that most people are still confident that the Chinese government is able to engineer a soft-landing and change its economic growth model away from investment. In the event that the Chinese government fails, that would surprise and shock many people. My view is that people are over-estimating Chinese government’s ability in delivering necessary changes to the economy, falsely believing that the Chinese economy is really a command economy and government has great control over it. In short, that’s the “this time is different” syndrome. Also, most are focusing on the trend in the past decades of urbanisation that creates demand for real estate, while completely ignoring the negative impact of population ageing on real estate prices, which was really one of the driving forces for the 20-year bear market for Japanese real estate. Land reclamation is a controversial approach to urban planning wherever water-bound cities are land-strapped for new development. In the U.S., a place like San Francisco is a prime example of a city where much of the adjacent waterfront was ‘reclaimed’ from the bay and land-filled to make room for new buildings. In Asia, Hong Kong practices land reclamation to accommodate large structures such as its convention center and Chep Lap Kok Airport. 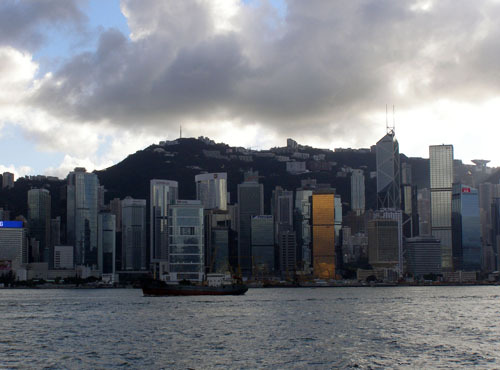 A piece from Metropolis magazine takes a closer look at reclamation and urban renewal in Hong Kong and how it is impacting its most prized asset: Victoria Harbor. Shopping malls are becoming a China real estate hot spot as government efforts to ease housing prices reduce interest among developers in building apartment complexes. I talked to Mayer on the sidelines of a conference about the business outlook in central China held yesterday in Luoyang, one of China’s ancient hubs. The event was being organized by Forbes China, the licensed Chinese-language edition of Forbes magazine, and the city government, and attracted speakers from IBM and GE. Excerpts follow. 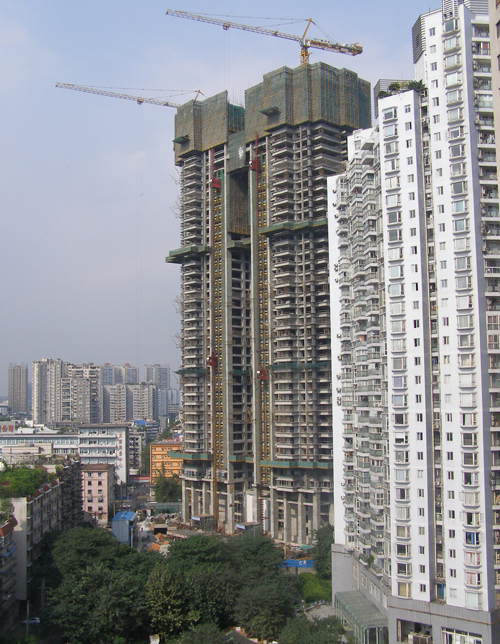 Q. China’s government seems to be slowing down the pace of the real estate industry right now. To what extent do you feel any of that in your own company? A. We do see it in the sense that there’s a shift away from such rapid development of residential property. Not all residential types, though, just, specifically, the high-rise clustered residential you see in all cities across China. The shift is more toward villas, which in the U.S. we would call detached houses. These are not intended to be primary residences. Rather, they are intended and marketed towards wealthy individuals who want a second home or a vacation home that’s outside the city. 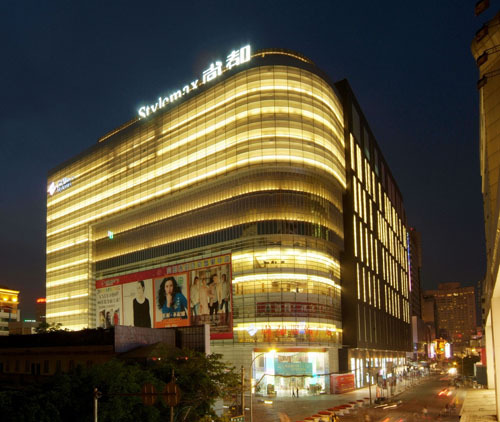 What we’re seeing now is a huge growth in the retail sector in the design and developments of shopping malls, especially in Chengdu where we have a lot of work, and also in Kunming, the capital of Yunnan Province. We’ve been seeing a lot of mixed-used developments in the planning phases now. These are typically 4-5 storey retail shopping malls (that) in architectural terms we call a podium. These are usually high density sites. They have high floor to area ratios, which are zoning numbers that tell you how much square meters you can build on that site. These are usually in center city areas, and also around the second or third ring roads that are developing out from the center, typically around transit hubs where there might be a subway station. There are retail podiums with office towers, or it could be a hotel tower and also some residential tower on top. Q. What’s driving that investment? A. I think it’s really more about retail. The developers are maximizing the FAR (floor to area ratio), and that’s why they’re building towers on top, but the retail really represents a shift of the Chinese economy from one of production to a more domestic, consumer oriented market. So we see real estate developers really pushing hard (on) the retail development. Q. In the old days, Chinese developers were making plenty of money just by building those tall residential buildings and selling them out quickly. Now, those same builders appear to be increasingly interested in commercial property. Do you see signs of that? A. For sure. If developers are only in the residential sector, they definitely need to diversify. Also, when it comes to geographical development, (there’s a) shift of development of China moving from the coast inward (and) west. We see that happening to even further west than Chengdu, and, if you can imagine, into Urumqi and Xinjiang Province. Urbanist media can’t seem to get enough of the megacity these days. Much of the commentary surrounding this topic is disconcertingly celebratory about these leviathans despite such phenomena as overcrowding, high levels of congestion and sprawling slums. Yet absent from most of the commentary is any mention cities in China. This is perhaps due in large part to the lack of serious social problems in comparison to its developing city counterparts in other countries. If a megacity is defined as a city with a population of more than 10 million, then China is home to 5 megacities: Shanghai, Beijing, Shenzhen, Guangzhou and Dongguan. As the country continues to urbanize, more Chinese cities are bound to join the ranks of these megacities. How has China been able to avoid the pitfalls facing other developing megacities? No one is denying that Chinese cities don’t have problems including unequal income distribution, pollution and growing traffic congestion. Yet China’s megacities seem to have largely avoided social dangers such as violent crime, disease and slum proliferation that plague urban areas of other developing countries. Adam Nathaniel Mayer - Tom, that’s a very good question…I think China’s Hukou system has definitely had a huge influence on avoiding some of the problems of other megacities around the world by regulating the flow of people into cities. Because of the difficulty migrant workers have in obtaining urban hukou status, the majority have, up until recently, had one foot in the city and one foot back in the village. Contrastingly, shantytowns in megacities outside of China often have multiple generations of slum dwellers living in them with no connection to anyplace else. As such, it becomes harder for these people to move up the ladder. China’s cities would not be urbanizing at their current rate without the help of the country’s huge population. It is a well-known fact that China is the most populous country on earth, yet this is sometimes forgotten in commentary questioning the breakneck pace of physical urban development. Recently, I came across a very clear reminder of just how many people reside in the Middle Kingdom: a great infographic from The Economist that compares the population of Chinese provinces to different countries around the world.